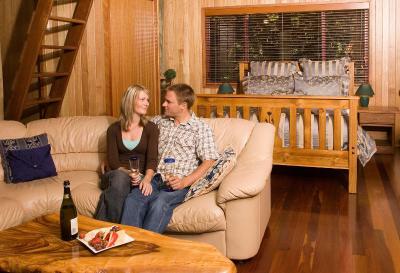 Lock in a great price for Springbrook Lyrebird Retreat – rated 9.5 by recent guests! Well equipped kitchen including food and drinks provided. Great selection of movies available. Great spa bath. Most comfortable bed we've ever slept in. The owners were super friendly and very helpful with what to do around Springbrook. Would definitely stay again. Beautiful, private setting with gracious & lovely hosts. Scenery is beautiful. 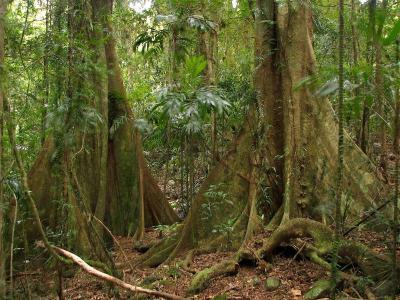 Great sense of being surrounded by rain forest is second to none. Bed was very comfortable. Nice split level open plan. Awesome view. Very private location. Excellent Creature comforts, spa, fireplace and reverse cycle AC was great. Everything makes for a very enjoyable and romantic stay for any couple. 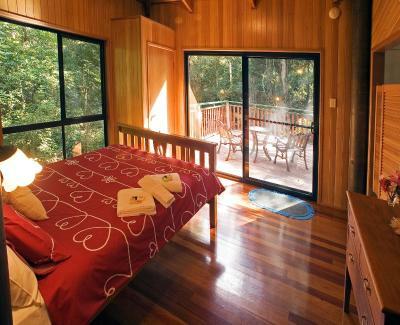 Waking up to the view of the rainforest, having slept well on a comfy bed, warmed by the fireplace, was wonderful. Loved the complimentary touches in the kitchen. 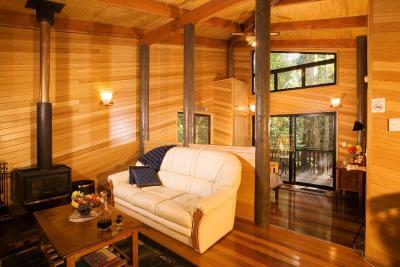 Been to Lyrebird Retreat a number of times. Great to get away to nature. 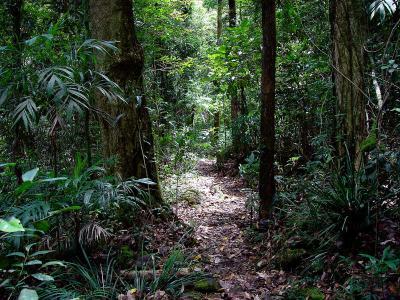 The rainforest sounds, smell and cool temperatures. 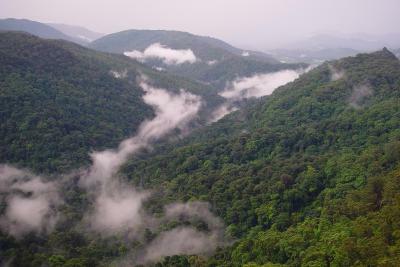 Staff are very helpful and owned by a conservation group even better. It was a wonderful ambience, the manager was super helpful, all the complementary food and drinks were great, the setting in the trees and the amazingly comfortable spa bath were fantastic. Recommending it to everyone. The extra's - wine, port, breakfast, chocolates. Beautiful location, wonderful management and magical weekend. 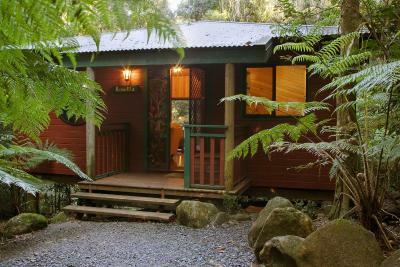 Springbrook Lyrebird Retreat This rating is a reflection of how the property compares to the industry standard when it comes to price, facilities and services available. It's based on a self-evaluation by the property. Use this rating to help choose your stay! 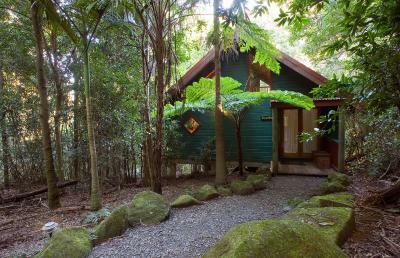 Boasting a double spa bath, a fireplace and BBQ facilities, Springbrook Lyrebird Retreat offers secluded cottages surrounded by rainforests. Guests can enjoy the magnificent views from their private patio. 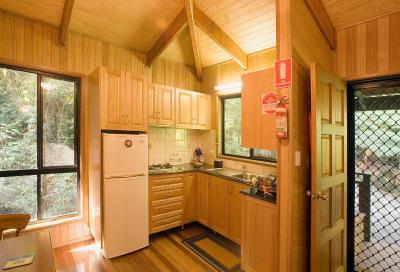 The air-conditioned cottages feature a fully equipped kitchen with an oven, a microwave and a refrigerator. 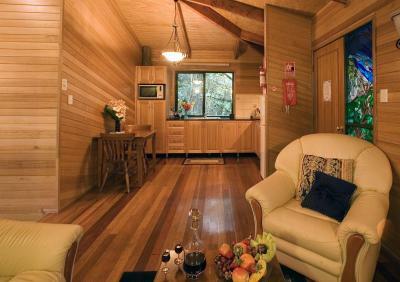 Each cottage has laundry facilities and a living room with a flat-screen TV and a DVD player. 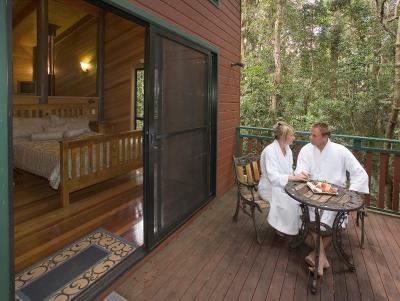 Lyrebird Retreat Springbrook is 10 minutes’ drive from Springbrook Village and Springbrook National Park. Gold Coast Airport is a 55-minute drive away. 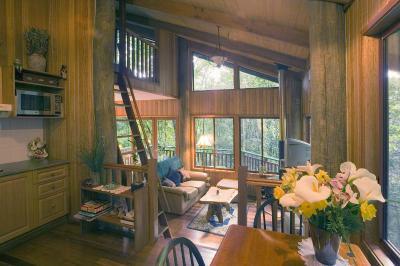 This property also has one of the top-rated locations in Springbrook! Guests are happier about it compared to other properties in the area. This property is also rated for the best value in Springbrook! Guests are getting more for their money when compared to other properties in this city. 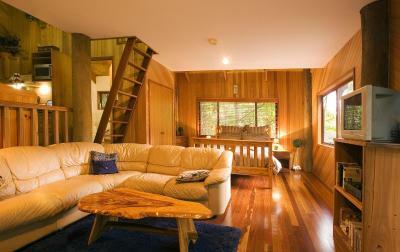 When would you like to stay at Springbrook Lyrebird Retreat? This refurbished, air-conditioned cottage features a double spa bath, a fireplace and a private patio with BBQ facilities and outdoor seating. It also has a fully equipped kitchen, laundry facilities and a living room with a flat-screen TV and a DVD player. This air-conditioned cottage features a double spa bath, a fireplace and a private patio with BBQ facilities and outdoor seating. It also has a fully equipped kitchen, laundry facilities and a living room with a flat-screen TV and a DVD player. 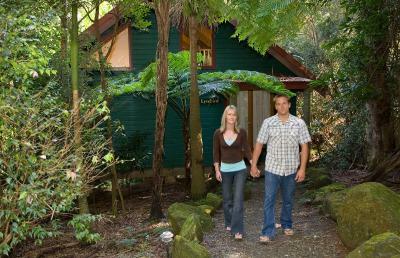 House Rules Springbrook Lyrebird Retreat takes special requests – add in the next step! This lodge does not accommodate children. 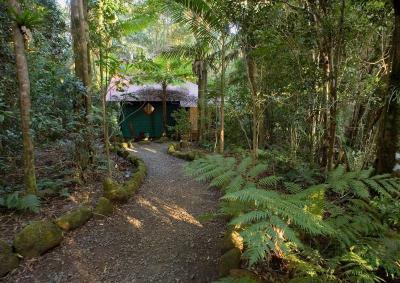 Springbrook Lyrebird Retreat accepts these cards and reserves the right to temporarily hold an amount prior to arrival. 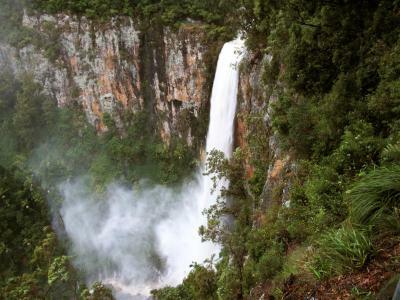 I didn't like the lack of places open for breakfast and dinner at Springbrook. It would have been great if we could have purchased a breakfast and BBQ basket from our hosts. I would have gladly paid extra money for this. Also, I think the chimney flue may need to be 'swept'. It was quite difficult to keep the fire going-maybe our lack of knowledge?? The cabin was in amongst the trees and nature. A gorgeous setting.The spa was great. The bed was so comfortable. The kitchen was well stocked with everything you need to cook your own meals. Only thing and it's small. The roads leading up to the cabins are a little hard to navigate unless you have a higher stance vehicle, i.e. SUV or AWD/4WD. Car scraped getting through some parts. Not suitable for a low car. That and some areas are a little too narrow. Nothing - it was that good! Bathroom didnt have proper doors, only saloon style doors. The peace and quiet is amazing, sitting on the deck relaxing and listening to the animals. 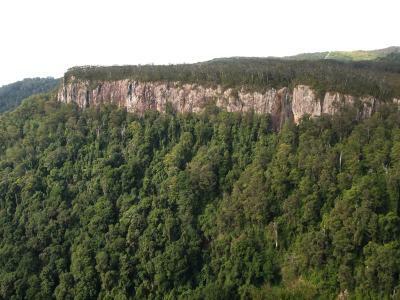 Close to all the walks , waterfalls and lookouts. The weather could have been better. 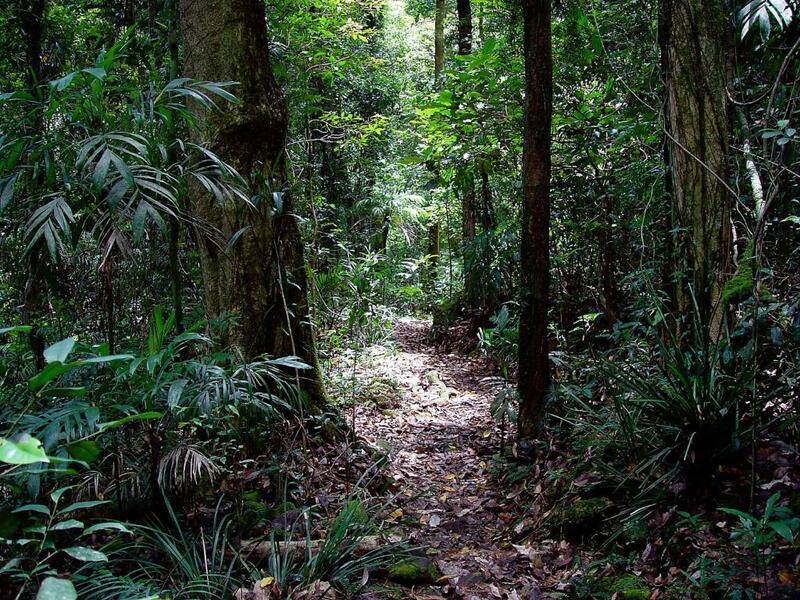 It was quiet and secluded but close to everything like bush walks to waterfalls, cafes & beautiful lookouts that show you from Byron Bay to the whole Gold Coast. And Also beautiful Sunsets to the west! 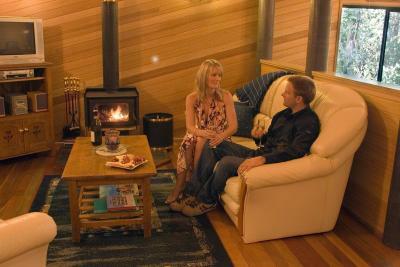 The Management team at Lyrebird Retreat we’re so friendly and welcoming can’t wait to come back! 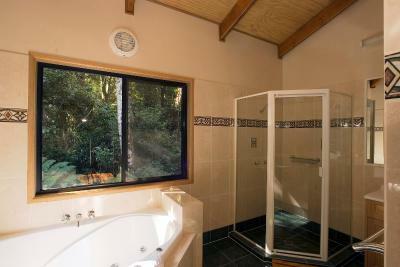 Privacy, natural environment, facilities in the cabin all great. Well located & cheerful service. There was a lack of clothes storage space. One or two more kitchen tools would have been handy. Yes, the bed was extra comfy. 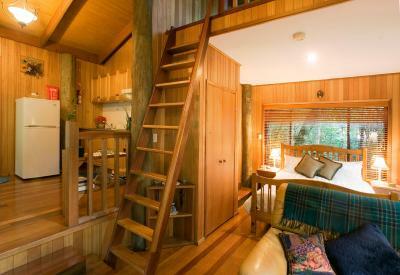 It was like living deep in the rain forest in a tree house, very quiet and unspoilt. The smells and sounds. The view from the bed. 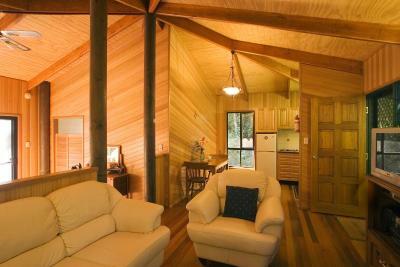 Loved the cabin...it was really cozy and well contained. Would definitely recommend to anyone who wants to get away from city life.